Every year, the IRS releases a “Dirty Dozen” list of tax scams for taxpayers to pay attention to. Falling for these scams, such as identity theft or phishing, can cause people to lose money, face penalties or, even, face criminal charges, so please be wary of the following scams. Every year, people fall prey to tax scams. That’s why the IRS sends a list of its annual “Dirty Dozen”. We want you to be safe and informed – and not become a victim. Taxpayers who get involved in illegal tax scams can lose their money, or face stiff penalties, interest and even criminal prosecution. Remember, if it sounds too good to be true, it probably is. Be on the lookout for these scams. Identity theft. Tax fraud using identity theft tops this year’s Dirty Dozen list. In many cases, an identity thief uses a taxpayer’s identity to illegally file a tax return and claim a refund. For the 2014 filing season, the IRS has expanded efforts to better protect taxpayers and help victims. Find more information on the identity protection page on IRS.gov. Pervasive telephone scams. The IRS has seen an increase in local phone scams across the country. Callers pretend to be from the IRS in hopes of stealing money or identities from victims. If you get a call from someone claiming to be from the IRS – and you know you owe taxes or think you might owe taxes, call the IRS at 1-800-829-1040. If you get a call from someone claiming to be from the IRS and know you don’t owe taxes or have no reason to think that you owe taxes, then call and report the incident to the Treasury Inspector General for Tax Administration at 1-800-366-4484. Phishing. Phishing scams typically use unsolicited emails or fake websites that appear legitimate. Scammers lure in victims and prompt them to provide their personal and financial information. 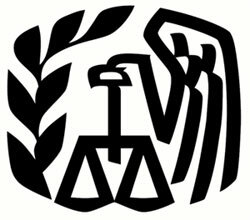 The fact is that the IRS does not initiate contact with taxpayers by email to request personal or financial information. This includes any type of electronic communication, such as text messages and social media channels. False promises of “free money” from inflated refunds. The bottom line is that you are legally responsible for what’s on your tax return, even if someone else prepares it. Scam artists often pose as tax preparers during tax time, luring victims in by promising large tax refunds. Taxpayers who buy into such schemes can end up penalized for filing false claims or receiving fraudulent refunds. Take care when choosing someone to do your taxes. Return preparer fraud. About 60 percent of taxpayers will use tax professionals this year to prepare their tax returns. Most return preparers provide honest service to their clients. But some dishonest preparers prey on unsuspecting taxpayers, and the result can be refund fraud or identity theft. Choose carefully when hiring an individual or a company to do your return. Only use a tax preparer that will sign your return and enter their IRS Preparer Tax Identification Number (PTIN). For tips about choosing a preparer, visit www.irs.gov/chooseataxpro.